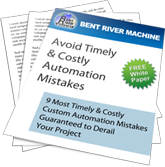 Bent River Machine Inc. designs and builds custom automation and tooling. 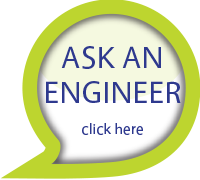 Through collaboratively consulting, engineering, and final integration of desired customer solutions, we have more than 40 years of experience bringing concepts to life for our customers. In 1978, Bent River was founded through a machining contract to produce extruded aluminum frames for code-required exit signs in all public buildings. Accelerate through many successful machining contracts creating partnerships with fast growing companies and Bent River began building test equipment for both Arizona Instruments’ line of precision analysis tools and Motorola’s inspection system. In the late 90s, automation took center stage as machines were needed to support the rapid demand of electronic components. From assessing the manufacturability of a product to full integration of robotics, palletizing and custom automation, today Bent River supports a variety of market segments – from environmental and technology to defense and hobby. Maintaining our vision to support a thriving manufacturing industry in Arizona, Bent River is proud of relationships that have led us to consult and create custom tooling and automation for Sonix, SpaceX, Hewlett-Packard, Western Window Systems, Arizona Instruments, Ventana, and SanDisc.